Guillaume Bosc defended his Ph.D thesis on September 11th 2017 at INSA Lyon. It is entitled "Anytime Discovery of a Diverse Set of Patterns with Monte Carlo Tree Search". His Ph. D. committee has involved Dr. Sihem Amer-Yahia (CNRS, Grenoble), Dr. Moustafa Bensafi (CNRS, Lyon), Prof. Toon Calders (Univesiteit Antwerpe, B), Prof. Tristan Cazenave (Université Paris-Dauphine), Prof. Peter Flach (University Bristol, UK), Dr. Mehdi Kaytoue (INSA Lyon, co-director of the thesis), Prof. Katharina Morik (Technische Universität Dortmund, D). The core contribution of this Ph. D. thesis has been accepted for publication in the Data Mining and Knowledge Discovery journal (DAMI, Springer) on December 5th, 2017. It has been formally published in May 2018 (Volume 32, Issue 3, pp. 604-650). For the first time, the researchers that are working on Data Science and Big Data within the new Fédération Informatique de Lyon (WG Masses de Données) have met at INSA Lyon for a rich scientific program on Friday Decembre 9th. About 30 researchers from CITI, LaHC, LIP, and LIRIS have attended. We have been listening nice talks about original data collections, network science, graph mining, pattern discovery, complex database query evaluation schemes, data vizualisation, privacy-preserving issues, data life cycle, but also the complexity of concepts that link data, governance, and power. We had again an exciting scientific meeting co-organized by the PEPS PREFUTE in Rennes October 26-28, 2016. We have been sharing about recent results within the pattern mining community, especially reporting basic reasearch results in the areas of interactive data mining and preference-based pattern mining. It was nice to listen the invited talks by Wouter Duivesteijn, Mario Boley, Jilles Vreeken, and Albert Bifet plus some others from the members of this successful project. Olivier Cavadenti defended his Ph.D thesis on September 27th 2016 at INSA Lyon. It is entitled "Contribution de la découverte de motifs à l'analyse de collections de traces unitaires" (In French). His Ph. D. committee has involved Prof. Jérôme Aze (LIRMM, Montpellier), Prof. François Brucker (EC Marseille), Dr. Mehdi Kaytoue (INSA Lyon, co-director of the thesis), Frédéric Menut (Actemium Courbon), Prof. Pascal Poncelet (LIRMM, Montpellier), Dr. Cheddy Raissi (INRIA Grand-Est), and Prof. Alexandre Termier (IRISA - Université Rennes 1). 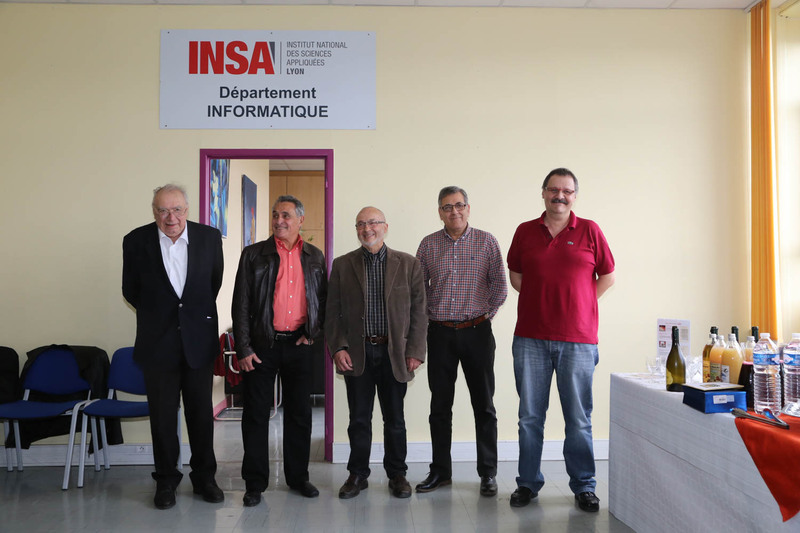 Look here for a photo from 2016 where all the 5 academics who have been/are heads of the department of Computer Science and Information Technology (Informatique) at INSA Lyon since its beginning. On the left, Prof. Robert Arnal who has been the founding leader of this department in 1969 ! Then from letft to right, you find Prof. Yves Martinez, Prof. Jean-Marie Pinon, Prof. Youssef Amghar and myself. 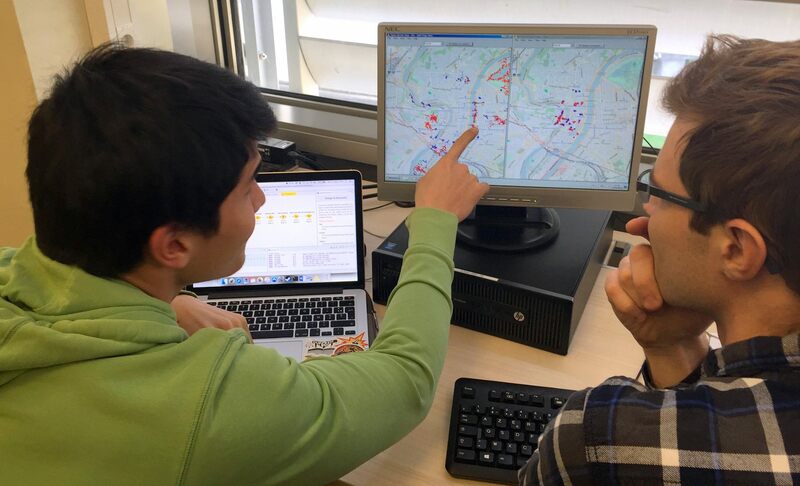 This year again, we had an interesting experience, teaching data mining to our undergraduate students at INSA Lyon with Mehdi Kaytoue and the invaluable support of KNIME. Look here for a photo where two of our 2nd year 120 students look for spatial cluster interpretation over collections of geo-localized photos. We had a quite exciting scientific meeting co-organized by the PEPS PREFUTE in Nancy on November 29, 2015. We have been talking about recent work by the pattern mining community, especially reporting basic reasearch results in this area. It was nice to listen talks by Matthijs van Leeuwen (Leiden University, The Netherlands) and Tijl de Bie (Ghent University, Belgium) plus some others from the members of this successful 1-year project. I became the head of the Department of Computer Science and Information Technology (Informatique) at INSA Lyon (2015-2018). I have been elected by my colleagues. It starts formally on September 1st, 2015 for a 3-year period. I have been serving as a deputy-head for UMR LIRIS during almost 4 years. At the end of June 2015, I stop after years of always challenging but rewarding moments spent as a close collaborator of Prof. Atilla Baskurt (he is on the right here, the new head of LIRIS stands in the middle). The new French scientific networking instrument GdR MADICS (big data, data science - CNRS GdR 3708) had its kick-off meeting in Lyon (Campus de la Doua) on June 24-25, 2015. I have been invited at Big Data ICUBE meeting on November 7th 2014 to provide a brief survey of the AMADOUER results ("Analyse de Masses de Données de l'Urbain et de l'Environnement") funded by the CNRS MASTODONS challenge. I have been invited at the Dagstuhl Seminar entitled Constraints, Optimization and Data from October 5th 2014 until October 10th. An amazing content has enabled to measure the croos-fertilization between the Constraint Programmating and Machine Learning/Data Mining topics since the first Dagstuhl Seminar organized on this in May 2011 (Constraint Programming meets Machine Learning and Data Mining). I gave a talk on "Constraint-based data mining: preliminary results on exploiting expert models (slides here). It is a cooperation with the PPME in Nouméa within the context of the MASTODONS Amadouer project funded by CNRS. Jérémy Sanhes defended his Ph.D thesis on September 25th 2014 in Nouméa. It is entitled Contribution à la fouille de données spatio-temporelles : application à l'étude de l'érosion. His Ph. D. committee has involved Dr. Maguelonne Teisseire (IRSTEA, UMR TETIS, Montpellier), Prof. Alexandre Termier (IRISA, Université Rennes 1), Prof. Jérôme Azé (LIRMM, Montpellier), Prof. Henri Bonnel (Université de la Nouvelle Calédonie), Dr. Frédéric Flouvat (PPME, Université de la Nouvelle Calédonie), Dr. Florence Le Ber (ENGEES, Université de Strasbourg), and Dr. Nazha Selmaoui-Folcher (Université de la Nouvelle Calédonie ; co-direvctor of the thesis). This is my second Ph. D. thesis prepared and defended thanks to a cooperation between UNC (Nouméa) and INSA Lyon (see also the FOSTER ANR Project). Keziban Gunce Orman defended her Ph.D thesis on July 16th 2014 at INSA Lyon. It is entitled Contribution to the interpretation of evolving communities in complex networks: Application to the study of social interactions. Her Ph. D. committee has involved Prof. Eric Gaussier (LIG, Grenoble), Dr. Jean-Loup Guillaume (LIP6, Paris 6), Prof. François Jacquenet (LaHC, Saint-Etienne), Dr. Vincent Labatut (Université Galatasaray, Istambul ; co-director of the thesis), Prof. Céline Rouveirol (LIPN, Paris 13), Dr. Maguelonne Teisseire (IRSTEA, UMR TETIS, Montpellier), and Prof. Emmanuel Viennet (LT2I, Université Paris 13). For the LIRIS research unit, it is the first Ph. D. thesis prepared in cooperation with University Galatasaray and defended in Lyon. Elise Desmier defended her Ph.D thesis on July 15th 2014 at INSA Lyon. It is entitled Co-evolution pattern mining in dynamic attributed graphs. Her Ph. D. committee has involved Prof. Bruno Crémilleux (GREYC, Caen), Prof. Eric Gaussier (LIG, Grenoble), Prof. Donato Malerba (Bari, Italy), Dr. Marc Plantevit (LIRIS, Lyon, co-director of the thesis), Prof. Pascal Poncelet (LIRMM, Montpellier), and Prof. Céline Rouveirol (LIPN, Paris 13). Céline Robardet defended her Habilitation thesis on December 9th 2013 at INSA Lyon. It is entitled Constraint-based pattern mining approaches for the analysis of relational attributed dynamic graphs. Her committee has involved Dr. Fosca Giannotti (CNR Pisa, I), Prof. Isabelle Guérin-Lassous (LIP, Université Lyon 1, F), Prof. Katharina Morik (Technical University Dortmund, D), Prof. Marie-Christine Rousset (LIG, Université Grenoble 1, F), Prof. Céline Rouveirol (LIPN, Université Paris 13), and Prof. Christel Vrain (LIFO, Université d'Orléans, F). Arno Siebes, professor at the University of Utrecht has been an invited professor at INSA Lyon from October 2013 until early December 2013. During his stay he has prepared and given various seminars related to a founded MDL perspective on data mining. His research seminars have been given not only in Lyon but also in Montpellier, Grenoble, and Saint-Etienne. Sergei O. Kuznetsov, head of the school for Applied Mathematics and Information Science at the National Research University in Moscow (Higher School of Economics) has been an invited professor at INSA Lyon in February and March 2013. 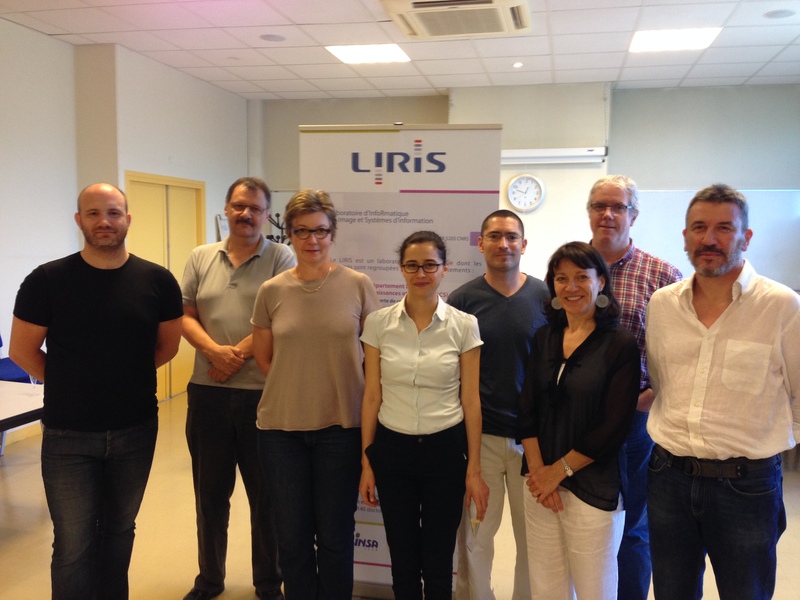 Thanks to this stay, we have lauchned several new scientific cooperations between HSE and LIRIS. I have been invited to visit HSE in Moscow at the end of March 2013, giving seminars (graph mining, inductive databases) but also an invited talk at the workshop FCAIR co-located with ECIR 2013. Dmitry I. Ignatov, associate professor at HSE has been visiting us in Lyon during one month in Fall 2013. Thi Kim Ngan Nguyen defended her Ph.D thesis on October 23th 2012 at INSA Lyon. It is entitled Generalizing Association Rules in n-ary Relations: Application to Dynamic Graph Analysis. Her Ph. D. committee has involved Dr. Francesco Bonchi (Yahoo! Research Barcelona, ES), Prof. Tu Bao Ho (JAIST, Japan), Prof. Stéphane Lallich (Université Lyon 2, F), Prof. Dominique Laurent (Université de Cergy-Pontoise, F), and Dr. Marc Plantevit (Université Lyon 1, F). We got the best research paper award at the French-speaking conference EGC 2012 (Bordeaux, February 2012) for our article entitled "Extraction de co-variations entre des propriétés de sommets et leur position topologique dans un graphe attribué" (co-authors: Adriana Prado, Marc Plantevit, Céline Robardet, and Jean-François Boulicaut). This work has been significantly extended and the results have been published in IEEE Transactions on Knowledge and Data Engineering (accepted in July 2012, published in september 2013). See here. 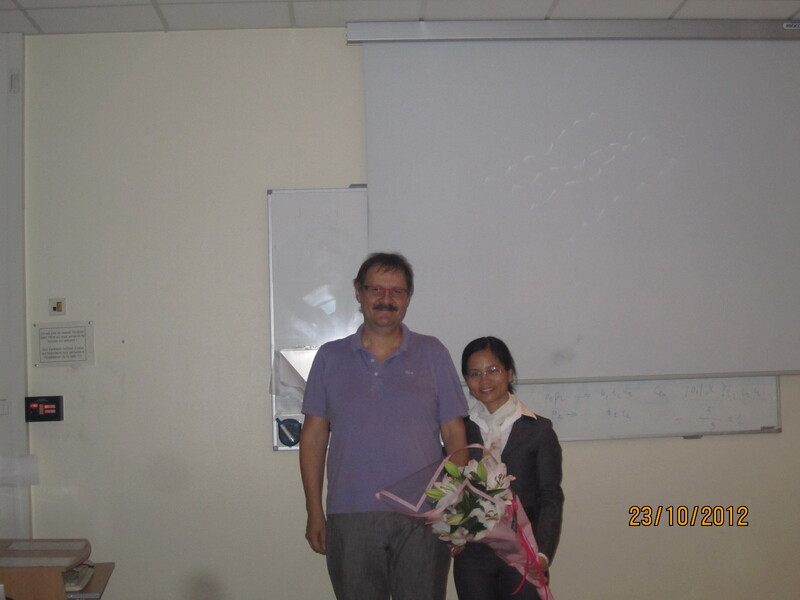 Nazha Selmaoui-Folcher defended her Habilitation thesis on February 12th 2012 at INSA Lyon. It is entitled "Fouille de données spatio-temporelles - Applications à l'environnement" (In French). Her committee has involved Philippe Bolon (LISTIC, Annecy), Henri Bonnel (PPME, Nouméa), Jean-François Boulicaut (LIRIS, Lyon), Bruno Crémilleux (GREYC, Caen), Mohand-Saïd Hacid (LIRIS, Lyon), Pascale Kuntz (LINA, Nantes), François Jacquenet (LaHC, Saint-Etienne), and Pascal Poncelet (LIRMM, Montpellier). The kick-off meeting of the ANR project FOSTER ("Spatio-Temporal Data Mining: Application to Soil Erosion Monitoring", ANR Project 2011-2014) has been organized on January 21, 2011 at INSA Lyon. At ACM SIGKDD, the best Ph.D dissertation award is selected each year. Our former Ph.D student Loïc Cerf has been nominee for the 2010 award by a prestigious committee. Its citation at the conference has shed light on the data mining research at LIRIS. The Bingo2 plenary meeting has been associated to a mini-symposium on data mining on July 8, 2010 at INSA Lyon. Loic Cerf defended his Ph.D thesis on July 9th 2010 at INSA Lyon. It is entitled Constraint-based Mining of Closed Patterns in Noisy n-ary Relations. His Ph. D. committee has involved Jérémy Besson (University of Vilnius, LT), Dr. Francesco Bonchi (Yahoo! Research Barcelona, ES), Dr. Toon Calders (TU Eindhoven, NL), Prof. Bruno Crémilleux (Université de Caen, F), Prof. Hannu Toivonen (University of Helsinki, FI), Prof. Arno Siebes (University of Utrecht, NL), and Prof. Christel Vrain (Université d'Orléans, F). Dominique Gay has defended his Ph.D in November 2009. It is entitled Calcul de motifs sous contraintes pour la classification supervisée. His Ph.D. committee has involved Dr. Nazha Selmaoui-Folcher (co-director of the thesis) and Prof. Henri Bonnel (Université de Nouvelle Calédonie), Dr. Marc Boullé (France Telecom R & D, Lannion), Prof. Bruno Crémilleux (Université de Caen), Dr. Eibe Franck (University of Waikato, New Zealand), and Prof. Ho Tu Bao (Japan Advanced Institute of Science and Technology). INSA Lyon hosted the 8th International Symposium Intelligent Data Analysis (IDA 2009) in September 2009. The poster of the conference is there. Proceedings published by Springer are also available online (LNCS 5772). Ieva Mitasiunaité's Ph.D was defended on May 19, 2009. It is entitled Mining string data under similarity and soft-frequency constraints: Application to promoter sequence analysis. Her Ph.D. committee has involved Prof. Michael R. Berthold (University of Konstanz, D), Dr. Olivier Gandrillon (CNRS UCB Lyon 1, F), Prof. Dominique Mouchiroud (LBBE, CNRS - UCB Lyon 1, F), Prof. Ross. D. King (University of Wales, UK), Prof. Arno Siebes (University of Utrecht, NL), and Dr. Maguelonne Teisseire (Cemagref Montpellier, F). An associated mini-symposium has been organized thanks to the Bingo2 project. I served as PC chair (with Prof. M. Berthold) of the 11th International Conference on Discovery Science DS'08. We edited the proceedings with Dr. T. Horvath (Springer LNAI 5255). The IQ IST-FET project was a follow-up of the cInQ IST-FET EU funded project. It has started on September 1, 2005 and it has been completed on August 31, 2008. It has concerned further basic research on inductive databases given targeted applications in bioinformatics. A book (see here) edited by S. Dzeroski B. Goethals, and P. Panov at the end of 2010 contains invited chapters about the state-of-the-art in the field of inductive databases and constraint-based data mining. The cInQ IST-FET project started in May 2001 and it was completed on April 2004. The cInQ consortium has organized a workshop by invitation only to mark the end of this IST-2000-26469 European project. At the workshop, the latest results in inductive databases, inductive querying and constraint based mining have been presented and future directions have been discussed. The Springer LNCS Volume 3848 contains revised chapters from its invited participants. The book which contains extended contributions to Dagstuhl Seminar 04161 on Detecting Local Patterns, April 12-16, 2004 is available (see Springer LNAI 3539). This seminar was a follow-up of the succesful ESF workshop organized in 2002 at Imperial College (London, UK) by Prof. D. Hand and colleagues. It was entitled "Pattern Detection and Discovery in Data Mining, European Science Foundation Exploratory". The ECML PKDD 2004 conference (15th European Conference on Machine Learning and the 8th European conferences on Principles and practice of Knowledge Discovery in Databases) has attracted 581 submissions. 105 contributions have been accepted as full papers (acceptance rate of 15%) and 19 other contributions have been selected as posters. From September 20 to September 24, the conference has attracted around 400 researchers in the heart of Pisa historical center. Here, you can see the co-chairs preparing the community meeting. The book in French "Informatique pour l'analyse du transcriptome" is available (Hermes Science Publishing). Member of the labex ("Laboratoire d'Excellence") IMU Intelligences des Mondes Urbains (2011-2017). PEPS PREFUTE 2015-2016 (Coordinator: Bruno Crémilleux, GREYC, Université de Caen). Cooperation on advanced concepts for pattern mining (GREYC, LORIA, LI, LIRIS). ANR Sociétés Innovantes VEL'INNOV (Automated Self-service Bike Share Schemes. A Socio-Technical Innovation and its Social Appropriations, National Project 2013-2016) in cooperation with Ecole Normale Supérieure de Lyon (contact: Pierre Borgnat), LET (contact: Charles Rault, coordinator), LIRIS (contact: Céline Robardet), Grand Lyon and JC Decaux Cyclocity. IMU Project VELOV'GR (2013-2014) Centre Max Weber - Ecole Normale Supérieure de Lyon (coordinator: Marie Vogel), EVS (contact: Luc Merchez), LIRIS (contact: Céline Robardet), Grand Lyon and JC Decaux Cyclocity. ANR MDCO BINGO2 ("Knowledge Discovery For and By Inductive Queries in post-genomic applications", National Project 2008-2011) in cooperation with Université de Caen (Coordinator: Bruno Crémilleux, GREYC), Université de Saint-Etienne (Contact: Baptiste Jeudy, LaHC), INSA Lyon (Contact: Jean-François Boulicaut), and Centre de Génétique Moléculaire et Cellulaire (Contact: Olivier Gandrillon, CGMC, Lyon). This project was a follow-up of ACI Masse de Données BINGO (2004-2007). IQ IST-FET FP6-516169 (Inductive Queries for Mining Patterns and Models, 2005-2008) was funded by the Future and Emergent Technologies arm of the IST programme FET-Open scheme. This consortium was made of the Institute Jozef Stefan (Slovenia, coordinator: Saso Dzeroski), Katholieke Universiteit Leuven (Belgium, contact: Luc de Raedt), INSA Lyon (France, contact: Jean-François Boulicaut), University of Wales Aberysthwyth (United Kingdom, contact: Ross King), University of Helsinki HIIT (Finland, contact: Heikki Mannila), and University of Antwerp (Belgium, contact: Bart Goethals). It was a follow-up of the cInQ FET project. 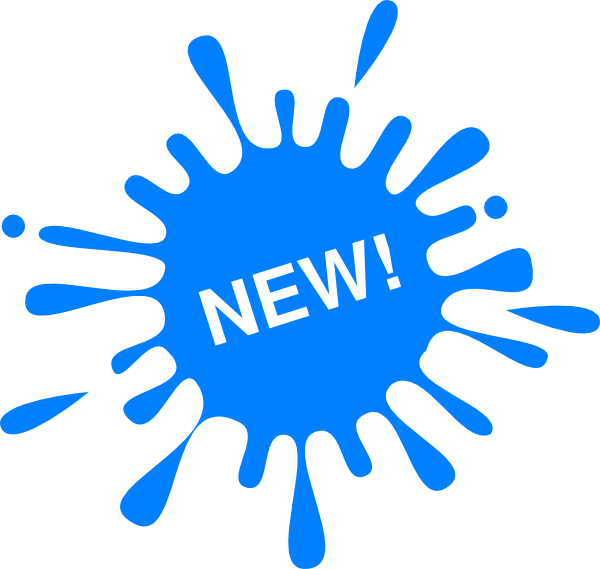 cInQ, the project IST-2000-26469 (consortium on knowledge discovery by Inductive Queries, 2001-2004)) has been funded by the Future and Emergent Technologies arm of the IST programme FET-Open scheme. This consortium was made of the Universita degli Studi di Torino (Italy, contact: Rosa Meo), the Politecnico di Milano (Italy, contact: Pier-Luca Lanzi and Stefano Ceri), the Albert-Ludwigs Universitaet Freiburg (Germany, contact: Luc de Raedt), the Nokia Research Center in Helsinki (Finland, contacts: Mika Klemettinen and Heikki Mannila), the Institute Jozef Stefan (Slovenia, contact: Saso Dzeroski) and INSA Lyon (France, coordinator: Jean-François Boulicaut). This project has been completed on April 2004, 3Oth. ACI Masse de Données Bingo (National Project 2004-2007 has been funded by the French government, ACI MD 46) about inductive databases for gene expression data analysis in cooperation with Université de Caen (Coordinator: Bruno Crémilleux), Université de Saint-Etienne (Contact: François Jacquenet), INSA Lyon (Contact: Jean-François Boulicaut), and Centre de Génétique Moléculaire et Cellulaire (Contact: Olivier Gandrillon). This project has been completed on October 26, 2007. Ph. D. in 1992 (INSA Lyon), Habilitation in 2001 (HDR Université Lyon 1 and INSA Lyon). Head of the Computer Science and Information Technology department (360 undergraduate students, 40 academics) at INSA Lyon (2015-2018). Tutorial Inductive Databases and Constraint-Based Mining (with Luc De Raedt) at ECML PKDD 2002, August 2002. A shorter version of this tutorial has been given in French at EGC 2003. Tutorial Constraint-based mining: a major step towards inductive databases at IDA 2003, August 2003. I have been the founding leader of the Data Mining group (within LISI in 1998) and then within LIRIS UMR 5205 (starting in 2003). Therefore, I was the coordinator of groups that have been assigned different names: TURING (2006-2010), COMBINING (2010-2011), and finally DM2L (2012). Since October 2012, the leader of this DM2L group is Céline Robardet. Elected member of the Scientific Committee for INSA Lyon from November 2006 until November 2014. Member of the UMR 5205 executive committee 2006-2015, Deputy Head of this research unit (about 300 members) from 2011 until 2015. Member of GdR MADICS executive committee (French scientific networking instrument on big data and data science - CNRS GDR 3708) from January 2015 until December 2016. Invitations to research meetings.Constraints, Optimization and Data (Dagstuhl 2014), DAG closing session (2013), Constraint Programming meets Machine Learning and Data Mining (Dagstuhl 2011), Mining patterns and subgroups (Lorentz Center, Leiden, 2010), Parallel Universes and Local Patterns (Dagstuhl 2007), Local Pattern Detection (Dagstuhl 2004), Pattern Detection and Discovery in Data Mining European Science Foundation Exploratory Workshop (London, 2002). Invited talks. Workshop AMLaGAP 2014 (Orléans), FCAIR 2013 co-located with ECIR 2013 (Moscow), AAFD 2010 (Villetaneuse), IEEE SADM 2008 co-located with ICDM 2008 (Pisa), ICFCA 2008 (Montreal), DQ&IS 2006 (Vilnius), JFPC 2005 (Lens), CAp 2004 (Montpellier), DSKDD Workshop co-located with ECML PKDD 2001 (Freiburg), CAPS'3 2000 (Paris), LFA 2000 (La Rochelle). Starting in January 2017, I decided to decline every invitation to a program committee. I have been also involved in many other PCs for some focused conferences (e.g., DaWaK, ILP, ICFCA), international workshops (e.g., BIOKDD, LML, MRDM, PTDM, SADM), and French-speaking annual events (e.g., BDA, CAp, EGC, JFPLC, RFIA). Member of the Editorial Board (since 2006) of Data Mining and Knowledge Discovery from 2006 to 2016. External reviewer for Ph. D thesis (24) or Habilitation thesis (1): Mika Klemettinen (Ph. D., Helsinki, FIN, 1999), Anne Laurent (Ph. D., Paris, F, 2002), Sandra Berasaluce (Ph. D., Nancy, F, 2002), Francesco Bonchi (Ph. D., Pisa, I, 2003), Cheikh Talibouya Diop (Ph. D., Tours-Blois, F, 2003), Arno Knobbe (Ph. D., Utrecht, NL, 2004), Miriam Baglioni (Ph. D., Pisa, I, 2005), Taneli Mielikainen (Ph. D., Helsinki, FIN, 2005), Sau Dan Lee (Ph. D., Freiburg, D, 2005), Edi Winarko (Ph. D., Flinders University, Adelaide, Australia, 2007), Mohamed Elati (Ph. D., Paris 13, F, 2007), Ariana Gallo (Ph. D., Torino, Italy, 2008), Chedy Raissi (Ph. D., Montpellier, F, 2008), Stéphanie Jacquemont (Ph. D., Saint-Etienne, F, 2008), Julien Briche (Ph. D., Toulon, F, 2009), Andrea Romei (Ph. D., Pisa, I, 2009), Mehdi Kaytoue (Ph. D., Nancy, F, 2011), Markus Ojala (Ph. D., Helsinki, FIN, 2011), Andreea M. Julea (Ph. D., Bucarest, RO, 2011), Guillaume Poezevara (Ph. D., Caen, F, 2011), Alexandre Termier (Habilitation, Grenoble, F, 2013), Jefrey Lijffijt (Ph. D., Helsinki, FIN, 2013), Willy Ugarte (Ph. D.,Caen, F, 2014), Mamadou Diaby (Ph. D., Paris 13, F, 2015), Aleksey Buzmakov (Ph. D., Nancy, F, 2015). President for Ph. D. thesis (3) or Habilitations (1): Yolanda Sanchez-Dehesa Fernandez (Ph. D., Lyon, 2009), Alpha Diallo (Ph. D., Grenoble, F, 2010), Pierre-Nicolas Mougel (Ph. D., Lyon, 2012), Blaise Hanczar (Habilitation, Paris 5, F, 2013). Niall M. Adams, Céline Robardet, Arno Siebes, Jean-Francois Boulicaut (Eds.) Advances in Intelligent Data Analysis VIII - Proc. 8th International Symposium on Intelligent Data Analysis IDA 2009, Lyon, France, Springer LNAI 5772, 2009. Jean-Francois Boulicaut, Michael R. Berthold, Tamas Horvath (Eds). Proc. 11th International Conference Discovery Science DS 2008, Springer LNAI 5255, 2008. Jean-Francois Boulicaut, Luc De Raedt, Heikki Mannila (Eds.) Constraint-based Mining and Inductive Databases, Hinterzarten Workshop Revised Selected Papers. Springer LNCS 3848, 2005. Francesco Bonchi, Jean-Francois Boulicaut (Eds.) Proc. 4th International Workshop on Knowledge Discovery in Inductive Databases KDID 2005 co-located with ECML PKDD 2005, 2005. Katharina Morik, Jean-Francois Boulicaut, Arno Siebes (Eds.) Local Pattern Detection: International Dagstuhl Seminar Revised Selected Papers, Springer LNAI 3539, 2005. Jean-Francois Boulicaut and Bruno Crémilleux (coordinateurs). Extraction de motifs dans des bases de données. RSTI ISI 9(3/4), Hermes-Lavoisier, 2004 (see here for a long and informative editorial in French). Jean-Francois Boulicaut, Floriana Esposito, Fosca Giannotti, and Dino Pedreschi (Eds.). Proc. 8th European conferences on Principles and practice of Knowledge Discovery in Databases PKDD 2004, Springer LNAI 3202. 2004. Jean-Francois Boulicaut, Floriana Esposito, Fosca Giannotti, and Dino Pedreschi (Eds.). Proc. 15th European Conference on Machine Learning ECML 2004. Springer LNAI 3201. 2004. Jean-Francois Boulicaut and Olivier Gandrillon (coordinateurs). Informatique pour l'analyse du transcriptome. Hermes Lavoisier, traité IC2, 2004 (In French). Jean-Francois Boulicaut and Saso Dzeroski Eds. Proc. 2nd International Workshop on Knowledge Discovery in Inductive Databases KDID 2003 co-located with ECML PKDD 2003. ISBN:953-6690-34-9. Download. Provided electronic materials ensure timely dissemination of scholarly and technical contributions. Copyright and all rights therein are retained by authors or by other copyright holders. All persons copying this information are expected to adhere to the terms and constraints invoked by each copyright holder. Guillaume Bosc, Jean-François Boulicaut, Chedy Raïssi, Mehdi Kaytoue. Anytime Discovery of a Diverse Set of Patterns with Monte Carlo Tree Search. Data Mining and Knowledge Discovery 32(3):604-650, 2018, Springer. See also here and there. Guillaume Bosc, Philip Tan, Jean-François Boulicaut, Chedy Raïssi, Mehdi Kaytoue. A Pattern Mining Approach to Study Strategy Balance in RTS Games. IEEE Transactions on Computational Intelligence and Artificial Intelligence in Games 9(2):123-132, 2017, IEEE computer Press. See here. Gunce Keziban Orman, Vincent Labatut, Marc Plantevit, Jean-Francois Boulicaut. Interpreting Communities based on the Evolution of a Dynamic Attributed Network. Social Network Analysis and Mining 5(1): 20:1-20:22 (2015). See here. Loïc Cerf, Dominique Gay, Nazha Selmaoui-Folcher, Bruno Crémilleux, Jean-Francois Boulicaut. Parameter-free classification in multi-class imbalanced data sets. Data & Knowledge Engineering 87(9):109-129, 2013, Elsevier. See here. Loïc Cerf, Jérémy Besson, Kim-Ngan T. Nguyen, Jean-Francois Boulicaut. Closed and noise-tolerant patterrns in n-ary relations. Data Mining and Knowledge Discovery 26 (3) 574-619, 2013, Springer. See here. Adriana Prado, Marc Plantevit, Céline Robardet, Jean-Francois Boulicaut. Mining graph topological patterns: Finding co-variations among vertex descriptors. IEEE Transactions on Data and Knowledge Engineering 25(9) 2090-2104, 2013, IEEE Computer Press. See here. Kim-Ngan T. Nguyen, Loïc Cerf, Marc Plantevit, Jean-Francois Boulicaut. Discovering descriptive rules in relational dynamic graphs. Intelligent Data Analysis 17 (1) 49-69, 2013, IOS Press. See here. Dominique Gay, Nazha Selmaoui-Foucher, Jean-François Boulicaut. Application-independent feature construction based on almost-closedness properties. Knowledge and Information Systems 30 (1) 87-111, 2012, Springer. See here. Ruggero G. Pensa, Jean-Francois Boulicaut, Francesco Cordero, Maurizio Atzori. Co-clustering numerical data under user-defined constraints. Statistical Analysis and Data Mining 3 (1) 38-55, 2010, Wiley. See here. Loïc Cerf, Jérémy Besson, Céline Robardet, Jean-Francois Boulicaut. Closed patterns meet n-ary relations. ACM Transactions on Knowledge Discovery in Data 3 (1) 3:1-3:37, 2010, ACM Press. See here. Ieva Mitasiunaite, Christophe Rigotti, Stéphane Schicklin, Laurène Meyniel, Jean-Francois Boulicaut, Olivier Gandrillon. Extracting signature motifs from promoter sets of differentially expressed genes. In Silico Biology 9: S17-S39, 2009. IOS Press. Johan Leyritz, Stéphane Schicklin, Sylvain Blachon, Céline Keime, Céline Robardet, Jean-Francois Boulicaut, Jérémy Besson, Ruggero G. Pensa, Olivier Gandrillon. SQUAT: a web tool to mine human, murine, and avian SAGE data. BMC Bioinformatics 9: 378, 2008. BMC. Sylvain Blachon, Ruggero G. Pensa, Jérémy Besson, Céline Robardet, Jean-Francois Boulicaut, Olivier Gandrillon. Clustering formal concepts to discover biologically relevant knowledge from gene expression data. In Silico Biology 7: 467-483, 2007, IOS Press. Jérémy Besson, Céline Robardet, Jean-Francois Boulicaut, Sophie. Rome. Constraint-based concept mining and its application to microarray data analysis. Intelligent Data Analysis 9 (1) 59-82, 2005, IOS Press. See here. Jean-Francois Boulicaut, Artur Bykowski, Christophe Rigotti. Free-sets: a condensed representation of boolean data for the approximation of frequency queries. Data Mining and Knowledge Discovery 7 (1) 5-22, 2003, Kluwer Academics Publishers. See here. Céline Becquet, Sylvain Blachon, Baptiste Jeudy, Jean-Francois Boulicaut, Olivier Gandrillon. Strong-association-rule mining for large-scale gene-expression data analysis: a case study on human SAGE data. Genome Biology 3 (12) 1-16, 2002. See also here. Baptiste Jeudy, Jean-Francois Boulicaut. Optimization of association rule mining queries. Intelligent Data Analysis, 6 (4) 341-357, 2002, IOS Press. See here. Jean-Francois Boulicaut. A KDD framework for database audit. Information Technology and Management international journal 1 (3) 195-207, 2000, Baltzer Science Publisher. Jean-Francois Boulicaut, Jean Beney. Métacompilation et Programmation : des règles méthodologiques pour fiabiliser la construction de programmes. Génie Logiciel et Systèmes Experts 11:38-48, 1988 (In French). Jean-François Boulicaut, Marc Plantevit, Céline Robardet. Local Pattern Detection in Attributed Graphs. In: Solving Large Scale Learning Tasks. Challenges and Algorithms - Essays Dedicated to Katharina Morik on the Occasion of Her 60th Birthday, S. Michaelis, N. Piatkowski, M. Stolpe (Eds. ), Springer LNAI 9580, 2016, pp. 168-183. Jérémy Besson, Jean-François Boulicaut, Tias Guns, Siegfried Nijssen. Generalizing itemset mining in a constraint programming setting. In: Inductive Databases and Constraint-Based Data Mining, S. Dzeroski, B. Goethals, and P. Panov (Eds), pp. 107-126, 2010, Springer. Loïc Cerf, Bao Nhan Nguyen Tran, Jean-Francois Boulicaut. Mining constrained cross-graph cliques in dynamic networks. In: Inductive Databases and Constraint-Based Data Mining, S. Dzeroski, B. Goethals, and P. Panov (Eds), pp. 199-228, November 2010, Springer. Christophe Rigotti, Ieva Mitasiunaite, Jérémy Besson, Laurène Meyniel, Jean-François Boulicaut, Olivier Gandrillon. Using a solver over the string pattern domain to analyse gene promoter sequences. In: Inductive Databases and Constraint-Based Data Mining, S. Dzeroski, B. Goethals, and P. Panov (Eds), pp. 407-424, 2010, Springer. Jean-Francois Boulicaut, Cyrille Masson. Data mining query languages. In: The Data Mining and Knowledge Discovery Handbook, O. Maimon and L. Rokach (Eds. ), 2010 revised version, Part 5, pp. 655-664, Springer. Jean-Francois Boulicaut, Baptiste Jeudy. Constraint-based data mining. In: The Data Mining and Knowledge Discovery Handbook, O. Maimon and L. Rokach (Eds. ), 2010 revised version, Part 3, pp. 339-354, Springer. Ruggero G. Pensa, Céline Robardet, Jean-Francois Boulicaut. Constraint-driven co-clustering of 0/1 data: In: Constrained Clustering: Advances in Algorithms, Theory and Applications, S. Basu, I. Davidson, and K. Wagstaff (Eds), Chapman & Hall/CRC Press, Data Mining and Knowledge Discovery Series, pp. 123-148, July 2008. Ieva Mitasiunaité, Jean-Francois Boulicaut. Introducing softness into inductive queries on string databases. In: Databases and Information Systems IV. Vol. 155 Frontiers in Artificial Intelligence and Applications, O. Vasilecas, J. Eder, A. Caplinskas (Eds. ), 2007, pp. 117-132. IOS Press. Jérémy Besson, Céline Robardet, Luc De Raedt, Jean-Francois Boulicaut. Mining bi-sets in numerical data. In: Knowledge Discovery in Inductive Databases 5th Int. Workshop KDID 2006 Revised Selected and Invited Papers, S. Dzeroski and J. Struyf (Eds), LNCS 4747, 2007, pp. 11-23. Springer. Jérémy Besson, Ruggero G. Pensa, Céline Robardet, Jean-Francois Boulicaut. Constraint-based mining of fault-tolerant patterns from Boolean data. In: Knowledge Discovery in Inductive Databases KDID 2005 Revised Selected and Invited Papers, F. Bonchi and J-F. Boulicaut (Eds), LNCS 3933, 2006, pp. 55-71. Springer. Ruggero G. Pensa, Jérémy Besson, Céline Robardet, Jean-Francois Boulicaut. Contribution to gene expression data analysis by means of set pattern mining. In: Constraint-based mining and Inductive Databases. LNCS 3848, J-F. Boulicaut, L. De Raedt, H. Mannila (Eds. ), 2005, pp. 328-347. Springer. Toon Calders, Christophe Rigotti, Jean-Francois Boulicaut. A survey on condensed representations for frequent sets. In: Constraint-based mining and Inductive Databases. LNCS 3848, J-F. Boulicaut, L. De Raedt, H. Mannila (Eds. ), 2005, pp. 64-80. Springer. Jérémy Besson, Céline Robardet, Jean-Francois Boulicaut. Mining formal concepts with a bounded number of exceptions from transactional data. In: Knowledge Discovery in Inductive Databases KDID 2004, Revised Selected and Invited Papers, B. Goethals and A. Siebes (Eds. ), LNCS 3377, 2005, pp. 33-45. Springer. Ruggero G. Pensa, Jean-Francois Boulicaut. Boolean property encoding for local set pattern discovery: an application to gene expression data analysis. In: Local Pattern Detection: International Dagstuhl Seminar Revised Selected Papers, LNAI 3539, K. Morik, J-F. Boulicaut, A. Siebes (Eds. ), 2005, pp. 115-134. Springer. Jean-Francois Boulicaut, Cyrille Masson. Data mining query languages. In: The Data Mining and Knowledge Discovery Handbook, O. Maimon and L. Rokach (Eds. ), 2005, pp. 715-727. Springer. Jean-Francois Boulicaut, Baptiste Jeudy. Constraint-based data mining. In: The Data Mining and Knowledge Discovery Handbook, O. Maimon and L. Rokach (Eds. ), 2005, pp. 399-416. Springer. Jean-Francois Boulicaut, Condensed representations for data mining. In: Encyclopedia of Data Warehousing and Mining, J. Wang (Ed. ), Idea Group Reference, 2005, pp. 207-211. Marco Botta, Jean-Francois Boulicaut, Cyrille Masson, Rosa Meo. Query languages supporting descriptive rule mining: a comparative study. In: Database Support for Data Mining Applications - Discovering Knowledge with Inductive Queries LNCS 2682, R. Meo, P-L. Lanzi, and M. Klemettinen (Eds. ), 2004. pp. 27-56. Springer. Jean-Francois Boulicaut. Inductive databases and multiple uses of frequent itemsets: the cInQ approach. In: Database support for Data Mining Applications - Discovering Knowledge with Inductive Queries LNCS 2682, R. Meo, P-L. Lanzi, and M. Klemettinen (Eds. ), 2004. pp. 3-26. Springer. Baptiste Jeudy, Jean-Francois Boulicaut. Constraint-based discovery and inductive queries: application to association rule mining. In: Pattern Detection and Discovery in Data Mining, European Science Foundation Exploratory Workshop, LNAI 2447, D. Hand, N. M. Adams, R. J. Bolton (Eds. ), 2002. pp. 110-124. Springer. It happens that acceptance rates are unknown or irrelevant (invitations). Victor Codocedo, Guillaume Bosc, Mehdi Kaytoue, Jean-François Boulicaut, Amedeo Napoli. Mining Partially Ordered Closed Sequences with Pattern Structures. Proc. 14th Int. Conf. on Formal Concept Analysis ICFCA 2017, Rennes, France, June 2017, K. Bertet, D. Borchmann, P. Cellier, S. Ferré (Eds), Springer LNCS 10308, pp. 106-121. Olivier Cavadenti, Victor Codocedo, Jean-François Boulicaut, Mehdi Kaytoue. What did I do Wrong in my MOBA Game? Mining Patterns Discreminating Deviant Behaviours. Proc. 3rd IEEE Int. Conf. on Data Science and Advanced Analytics DSAA 2016, Special Session on Game Data Science, Montréal, Canada, October 2016. pp. 662-671. Léon Gaillard, Guillaume Ruedin, Stéphanie Giroux-Julien, Marc Plantevit, Mehdi Kaytoue, Syamimi Saadon, Christophe Ménézo, Jean-François Boulicaut. Data-driven performance evaluation of ventilated photovoltaic double-skin facades in the built environment. Proc. 6th Int. Building Physics Conf. IBPC 2015, Energy Procedia 78 (2015 ) 447 – 452, Elsevier. Olivier Cavadenti, Victor Codocedo, Mehdi Kaytoue and Jean-Francois Boulicaut. Identifying Avatar Aliases in StarCraft 2. Proc. 2nd Workshop Machine Learning and Data Mining for Sport Analytics MLSA 2015 co-located with ECML PKDD 2015, Porto, Portugal, September 2015. Unpublished proceedings. Albrecht Zimmermann, Mehdi Kaytoue, Marc Plantevit, Céline Robardet, Jean-Francois Boulicaut. Profiling Users of the Velo'v Bike Sharing System. Proc. 2nd Workshop Mining Urban Data MUD2 co-located with ICML 2015, Lille, France, July 2015, I. Katakis, F. Schnitzler, T. Liebig, D. Gunopoulos, K. Morik, L. G. Andrienko, S. Mannor (Eds), CEUR Workshop Proceedings 1392, pp. 63-64. Léon Gaillard, Guillaume Ruedin, Stéphanie Giroux-Julien, Marc Plantevit, Sonia Saadon, Christophe Ménézo, Jean-François Boulicaut. Analysis tools to improve model validation and development using monitoring data for BIPV systems and PV systems operating in challenging environments SOPHIA Project Workshop: Second workshop on Building-Integrated PhotoVoltaics BIPV 2014, Chambéry, France, September 15-16, 2014. Gunce Keziban Orman, Vincent Labatut, Marc Plantevit, Jean-Francois Boulicaut. A method for characterizing communities in dynamic attributed complex networks. Proc. 2014 IEEE/ACM Int. Conf. on Advances in Social Network Analysis and Mining ASONAM 2014, August 2014, Beijing, China, Xindong Wu, Martin Ester, and Guandong Xu (Eds), pp. 481-484. Guillaume Bosc, Mehdi Kaytoue, Chedy Raïssi, Jean-Francois Boulicaut, Philip Tan. Mining balanced sequential patterns from zero-sum game interactions. Proc. European Conf. on Artificial Intelligence ECAI 2014. August 2014, Praha, Czech Republic, T. Schaub et al. (Eds), short paper, pp. 975-976, IOS. Acceptance Rate including short papers 43%. A research report provides more details here. Frédéric Flouvat, Jérémy Sanhes, Claude Pasquier, Nazha Selmaoui-Folcher, Jean-Francois Boulicaut. Improving pattern discovery relevancy by deriving constraints from expert models. Proc. European Conf. on Artificial Intelligence ECAI 2014. August 2014, Praha, Czech Republic, T. Schaub et al. (Eds), regular paper, pp. 327-332, IOS. Acceptance Rate 28%. Elise Desmier, Marc Plantevit, Céline Robardet, Jean-Francois Boulicaut. Trend mining in dynamic attributed graphs. Proc. European Conf. on Machine Learning and Principles and Practice of Knowledge Discovery in Databases ECML PKDD 2013, Praha, Czech Republic, September 2013. H. Blockeel, K. Kersting, S. Nijssen, and F. Zelezný (Eds.). Springer LNAI 8188, pp. 654-669. Acceptance rate 25%. Guillaume Bosc, Mehdi Kaytoue, Chedy Raissi, Jean-Francois Boulicaut. Strategic pattern discovery in RTS-games for E-Sport with sequential pattern mining. Machine Learning and Data Mining for Sports Analytics MLSA 2013 co-located with ECML/PKDD 2013, Praha, Czech Republic, September 2013. No published proceedings. The paper is available as LIRIS RR 2013-012. Jérémy Sanhes, Frédéric Flouvat, Claude Pasquier, Nazha Selmaoui-Folcher, Jean-Francois Boulicaut. Weighted path as a condensed pattern in a single attributed DAG. Proc. Int. joint Conf. on Artificial Intellligence IJCAI 2013, Beijing, China, August 2013, F. Rossi Ed., pp. 1642-1648. AAAI Press. Acceptance rate 28%. Erratum Since its formal publication, the described algorithm has been found incomplete. Jean-Francois Boulicaut. New applications of Formal Concept Analysis: a need for new pattern domains (Invited talk). Proc. Formal Concept Analysis meets Information Retrieval FCAIR 2013 co-located with ECIR 2013, Moscow, Russia, 24th March 2013, CEUR Workshop Proceedings Volume 977, pp. 2-4. Julien Salotti, Marc Plantevit, Céline Robardet, Jean-Francois Boulicaut. Supporting the discovery of relevant topological patterns in attributed graphs. Proc. of the IEEE Int. Conf. on Data Mining ICDM 2012 Workshops (Demo paper), Brussels, Belgium, December 2012, pp. 898-901. Elise Desmier, Marc Plantevit, Céline Robardet, Jean-Francois Boulicaut. Cohesive co-evolution patterns in dynamic attributed graphs. Proc. 15th Int. Conf. on Discovery Science DS 2012, Lyon, France, October 2012. Springer LNAI 7569, J-G. Ganascia, P. Lenca, J-M. Petit (Eds). pp. 110-124. Acceptance rate 48%. Kim-Ngan T. Nguyen, Marc Plantevit, Jean-Francois Boulicaut. Mining disjunctive rules in dynamic graphs. Proc. 9th IEEE RIVF Int. Conf. on Computing and Communication Technologies, Research, Innovation, and Vision for the Future IEEE-RIVF 2012, Ho Chi Minh City, Vietnam, Feb. 27-March 1 2012. pp. 1-6. Acceptance rate 28%. Kim-Ngan T. Nguyen, Loïc Cerf, Marc Plantevit, Jean-Francois Boulicaut. Multidimensional association rules in boolean tensors. Proc. SIAM Int. Conf. on Data Mining SDM'11, Phoenix, USA, April 28-30, 2011, pp. 570-581. © SIAM. Acceptance rate 25%. Kim-Ngan T. Nguyen, Loïc Cerf, Marc Plantevit, Jean-Francois Boulicaut. Discovering inter-dimensional rules in dynamic graphs. Proc. Workshop on Dynamic Networks and Knowledge Discovery DYNAK 2010 co-located with ECML PKDD 2010, Barcelona, Spain, September 2010. R. G. Pensa, F. Cordero, C. Rouveirol, R. Kanawati, J. A. Troyano, P. Rosso (Eds), CEUR Workshop Proceedings Vol. 655, pp. 5-16. Acceptance rate 39%. Pierre-Nicolas Mougel, Marc Plantevit, Christophe Rigotti, Olivier Gandrillon, Jean-Francois Boulicaut. Constraint-based mining of Sets of cliques sharing vertex properties. Proc. Workshop on the Analysis of Complex Networks ACNE 2010 co-located with ECML PKDD 2010, Barcelona, Spain, September 2010. M. Berlingerio, B. Bringmann, A. Nürnberger (Eds). pp. 48-62. Jérémy Besson, Ieva Mitasiunaite, Audrone Lupeikiene, Jean-Francois Boulicaut. Comparing intended and real usage in Web portals: Temporal logic and data mining. Proc. 13th Int. Conf. on Business Information Systems BIS 2010, Berlin, Germany, 3-5 May 2010. Witold Abramowicz and Robert Tolksdorf (Eds). Springer LNBIS 47, pp. 83-93. Acceptance rate 33%. Loïc Cerf, Pierre-Nicolas Mougel, Jean-Francois Boulicaut. Agglomerating local patterns hierarchically with ALPHA. Proc. 18th ACM Conf. on Information and Knowledge Management CIKM 2009, Hong Kong, China, 2-6 November 2009, pp. 1753-1756. Acceptance rate 34%. Dominique Gay, Nazha Selmaoui, Jean-Francois Boulicaut. Application-independent feature construction from noisy samples. Proc. 13th Pacific-Asia Conf. on Knowledge Discovery and Data Mining PaKDD 2009, Bangkok, Thailand, 27-30 April 2009. I. Theeramunkong, B. Kijsirikul, N. Cercone, Ho Tu Bao (Eds). Springer LNCS 5476, pp. 965-972. Acceptance rate when including short papers 33%. Jérémy Besson, Christophe Rigotti, Ieva Mitasiunaite, Jean-Francois Boulicaut. Parameter tuning for differential mining of string patterns. Proc. 2nd Int. Workshop on Domain Driven Data Mining DDDM 2008 co-located with IEEE ICDM 2008, Pisa, Italy, December 15, 2008. F. Bonchi et al. (Eds. ), pp. 77-86. IEEE Computer Society. Acceptance rate 26%. Jean-Francois Boulicaut. If constraint-based mining is the answer: what is the constraint? (invited abstract) Proc. Int. Workshop on Semantic Aspects of Data Mining SADM 2008 co-located with IEEE ICDM 2008, Pisa, Italy, December 19, 2008. F. Bonchi et al. (Eds. ), pp. 730. IEEE Computer Society. Loïc Cerf, Dominique Gay, Nazha Selmaoui, Jean-Francois Boulicaut. A parameter-free associative classification method. Proc. 10th Int. Conf. on Data Warehousing and Knowledge Discovery DaWaK 2008, Torino, Italy, September 1-5, 2008. I.-Y. Song, J. Eder, T. M. Nguyen (Eds.). Springer LNCS 5182, pp. 293-304. © Springer. Acceptance rate 33%. Jérémy Besson, Loïc Cerf, Rémi Thevenoux, Jean-Francois Boulicaut. Tackling closed pattern relevancy in n-ary relations. Proc. 1st Workshop Mining Multidimensional Data MMD 2008 co-located with ECML PKDD 2008, Antwerp, Belgium, September 15-19, 2008. A. Laurent and J. Pei (Eds. ), pp. 2-16. Acceptance rate 37.5%. Ruggero G. Pensa, Jean-Francois Boulicaut. Numerical Data Co-clustering via Sum-Squared Residue Minimization and User-defined Constraint Satisfaction (extended abstract). Proc. 16th Italian Symp. on Advanced Database Systems SEBD 2008, Mondello (PA), Italy, June 22-25, 2008. pp. 279-286. Loïc Cerf, Jérémy Besson, Céline Robardet, Jean-Francois Boulicaut. Data_Peeler: Constraint-based closed pattern mining in n-ary relations. Proc. SIAM Int. Conf. on Data Mining SDM 2008, Atlanta, USA, April 24-26, 2008, pp. 37-48. Acceptance rate 14%. Ruggero G. Pensa, Jean-Francois Boulicaut. Constrained co-clustering of gene expression data. Proc. SIAM Int. Conf. on Data Mining SDM 2008, Atlanta, USA, April 24-26, 2008, pp. 25-36. Acceptance rate 14%. Jean-Francois Boulicaut, Jérémy Besson. Actionability and formal concepts: a data mining perspective (invited talk) Proc. 6th Int. Conf. on Formal Concept Analysis ICFCA 2008, Montréal, Canada, February 25-28, 2008, R. Medina and S. Obiedkov (Eds). Springer LNAI 4933, pp. 14-31. © Springer. Dominique Gay, Nazha Selmaoui, Jean-Francois Boulicaut. Pattern-based decision tree construction. Proc. 2nd Int. Conf. on Digital Information Management ICDIM 2007, Lyon, France, October 28-31, 2007, IEEE Computer Press. pp. 291-296. Acceptance rate 43 %. Yolanda Sanchez-Dehesa, Loïc Cerf, Jose-Maria Pena, Jean-Francois Boulicaut, Guillaume Beslon. Artificial regulatory network evolution. Proc. Int. Workshop Machine Learning in Systems Biology MLSB 2007, Evry, France, September 24-25, 2007, pp. 47-52. Jérémy Besson, Céline Robardet, Luc De Raedt, Jean-Francois Boulicaut. Mining numerical bi-sets. Proc. 5th Int. Workshop on Knowledge Discovery in Inductive Databases KDID 2006 co-located with ECML-PKDD 2006, Berlin, Germany, September 18, 2006, S. Dzeroski and J. Struyf (Eds). pp. 9-19. Nazha Selmaoui, Claire Leschi, Dominique Gay, Jean-Francois Boulicaut. Feature construction and delta-free sets in 0/1 samples. Proc. 9th Int. Conf. on Discovery Science DS 2006, Barcelona, Spain, October 7-10, 2006, N. Lavrac, L. Todorovski, and K.P. Jantke (Eds.). Springer LNAI 4265, pp. 363–367. © Springer. Acceptance rate 47 %. Ruggero G. Pensa, Céline Robardet, Jean-Francois Boulicaut. Towards constrained co-clustering in ordered 0/1 data sets. Proc. 16th Int. Symp. on Methodologies for Intelligent Systems ISMIS 2006, Bari, Italy, September 27-29, 2006, F. Esposito, Z. W. Ras, D. Malerba, G. Semeraro (Eds). Springer LNAI 4203, pp. 425-434. © Springer. Acceptance rate 40%. Clément Faure, Sylvie Delprat, Jean-Francois Boulicaut, Alain Mille. Iterative bayesian network implementation by using annotated association rules. Proc. 15th Int. Conf. on Knowledge Engineering and Knowledge Management EKAW 2006, Podebrady, Czech Republic, 2nd-6th October 2006, S. Staab and V. Svatek (Eds.). Springer LNAI 4248, pp. 326-333. © Springer. Acceptance rate 28%. Ieva Mitasiunaité, Jean-Francois Boulicaut. About softness for inductive querying on sequence databases. Proc. 7th Int. Baltic Conf. on Databases and Information Systems DB&IS 2006, Vilnius, Lithuania, July 3-6, 2006. pp. 77-82. © IEEE. Acceptance rate 32 %. Jean-Francois Boulicaut. Inductive Databases: new concepts for data-driven knowledge discovery processes (Invited Tutorial). Proc. 7th Int. Baltic Conf. on Databases and Information Systems DB&IS 2006, Vilnius, Lithuania, July 3-6, 2006. Jérémy Besson, Céline Robardet, Jean-Francois Boulicaut. Mining a new fault-tolerant pattern type as an alternative to formal concept discovery. Proc. 14th Int. Conf. on Conceptual Structures ICCS 2006, Aalborg, Denmark, July 16-21, 2006, H. Scharfe, P. Hitzler, P. Ohrstrom (Eds.). Springer LNAI 4068, 2006, pp. 144-157. © Springer. Acceptance rate 39%. Ieva Mitasiunaité, Jean-Francois Boulicaut. Looking for monotonicity properties of a similarity constraint on sequences. Proc. 2006 ACM Symp. of Applied Computing SAC 2006, Special Track on Data Mining, April 23 - 27, 2006, Dijon, France. ACM Press, pp. 546-552. © ACM. Acceptance rate 32 %. Jérémy Besson, Ruggero G. Pensa, Céline Robardet, Jean-Francois Boulicaut. Constraint-based mining of fault-tolerant patterns from Boolean data. Proc. 4th Int. Workshop on Knowledge Discovery in Inductive Databases KDID 2005 co-located with ECML PKDD 2005, Porto, Portugal, October 20, 2005, F. Bonchi and J-F. Boulicaut (Eds), pp. 13-26. Ruggero G. Pensa, Céline Robardet, Jean-Francois Boulicaut. A bi-clustering framework for categorical data. Proc. 9th European Conf. on Principles and practice of Knowledge Discovery in Databases PKDD 2005, Porto, Portugal, October 3-7, 2005. Springer LNAI 3721, A. Jorge, L. Torgo, P. Brazdil, R. Camacho, J. Gama (Eds), pp. 643-650, 2005. © Springer. Acceptance rate 28 %. Ruggero G. Pensa, Jean-Francois Boulicaut. From local pattern mining to relevant bi-cluster characterization. Proc. 6th Int. Symp. on Intelligent Data Analysis IDA 2005, Madrid, Spain, September 8-10, 2005. Springer LNCS 3646, A. F. Famili, J-M. Pena, A. Siebes, J. Kok (Eds. ), pp. 293-304, 2005. © Springer. Acceptance rate 25%. Ruggero G. Pensa, Jean-Francois Boulicaut. Towards fault-tolerant formal concept analysis. Proc. 9th Congress of the Italian Association for Artificial Intelligence AI*IA 2005, University of Milano – Bicocca, Italy, September 21-23, 2005, Springer LNAI 3673, S. Bandini and S. Manzoni (Eds. ), pp. 212-223, 2005. © Springer. Ruggero G. Pensa, Jérémy Besson, Jean-Francois Boulicaut. A methodology for biologically relevant pattern discovery from gene expression data. Proc. 7th Int. Conf. on Discovery Science DS 2004, E. Suzuki and S. Arikawa (Eds. ), Padova, Italy, October 2-5, 2004. Springer LNAI 3245, pp. 230-241. © Springer. Acceptance rate 25%. Jérémy Besson, Céline Robardet, Jean-Francois Boulicaut. Mining alpha-beta concepts as relevant bi-sets from transactional data. Proc. 3rd Int. Workshop on Knowledge Discovery in Inductive Databases KDID 2004 co-located with ECML PKDD 2004, B. Goethals and A. Siebes (Eds. ), Pisa, Italy, September 20, 2004. pp. 13-24. Jérémy Besson, Céline Robardet, Jean-Francois Boulicaut. Constraint-based mining of formal concepts in transactional data. Proc. 8th Pacific-Asia Conf. on Knowledge Discovery and Data Mining PaKDD 2004, H. Dai, R. Srikant, and C. Zhang (Eds. ), Sydney, Australia, May 26-28, 2004. Springer LNCS 3056, pp. 615-624. © Springer. Acceptance rate 21 %. Céline Robardet, Ruggero G. Pensa, Jérémy Besson, Jean-Francois Boulicaut. Using classification and visualization on pattern databases for gene expression data analysis. Proc. 1st Int. Workshop on Pattern Representation and Management PaRMa 2004 co-located with EDBT 2004, Y. Theodoridis and P. Vassiliadis (Eds); Heraclion - Crete, Greece, March 18, 2004. CEUR Workshop Proc. Vol. 16, pp. 107-118. Cyrille Masson, Céline Robardet, Jean-Francois Boulicaut. Optimizing subset queries: a step towards SQL-based inductive databases for itemsets. Proc. 2004 ACM Symp. of Applied Computing (SAC 2004), Special Track on Data Mining, H. Haddad, A. Omicini, R. L. Wainwright and L.M. Liebrock (Eds. ), March 14 - 17, 2004, Nicosia, Cyprus. ACM Press. pp. 535-539. © ACM. Acceptance rate 36 %. Hunor Albert-Lorincz, Jean-Francois Boulicaut. A framework for frequent sequence mining under generalized regular expression constraints. Proc. 2nd Int. Workshop on Knowledge Discovery in Inductive Databases KDID 2003 co-located with ECML PKDD 2003, J-F. Boulicaut and S. Dzeroski (Eds. ), Cavtat-Dubrovnik, Croatia, September 22, 2003. pp. 2-16. ISBN 953-6690-34-9. Francois Rioult, Céline Robardet, Sylvain Blachon, Bruno Cremilleux, Olivier Gandrillon, Jean-Francois Boulicaut. Mining concepts from large SAGE gene expression matrices. Proc. 2nd Int. Workshop on Knowledge Discovery in Inductive Databases KDID 2003 co-located with ECML PKDD 2003, J-F. Boulicaut and S. Dzeroski (Eds. ), Cavtat-Dubrovnik, Croatia, September 22, 2003 pp. 107-118. ISBN 953-6690-34-9. Kimmo Hatonen, Jean-Francois Boulicaut, Mika Klemettinen, Markus Miettinen, Cyrille Masson. Comprehensive log compression with frequent patterns. Proc. 5th Int. Conf. on Data Warehousing and Knowledge Discovery DaWaK 2003, Y. Kambayashi, M. K. Mohania and W. Wöss (Eds. ), Prague, Czech Republic, September 3-5, 2003. Springer LNCS 2737. pp. 360-370. © Springer. Acceptance rate 40%. Francois Rioult, Jean-Francois Boulicaut, Bruno Cremilleux, Jérémy Besson. Using transposition for pattern discovery from microarray data. Proc. 8th ACM SIGMOD Workshop on Research Issues in Data Mining and Knowledge Discovery, M. J. Zaki and C.C. Aggarwal (Eds. ), June 13th, 2003, San Diego, USA. pp. 73-79. Acceptance rate 28 %. Marion Leleu, Christophe Rigotti, Jean-Francois Boulicaut, Guillaume Euvrard. GO-SPADE: mining sequential patterns over datasets with consecutive repetitions. Proc. IAPR 3rd Int. Conf. on Machine Learning and Data Mining in Pattern Recognition MLDM 2003, P. Perner and A. Rosenfeld (Eds), Leipzig Germany, July 5-7, 2003. Springer LNCS 2734. pp. 293-306. © Springer. Acceptance rate 44 %. Hunor Albert-Lorincz, Jean-Francois Boulicaut. Mining frequent sequential patterns under regular expressions: a highly adaptive strategy for pushing constraints. Proc. 3rd SIAM Int. Conf. on Data Mining SDM 2003, D. Barbara and C. Kamath (Eds. ), San Francisco, USA, May 1-3, 2003. pp. 316-320. Acceptance rate 39 %. Jean-François Boulicaut. Constraint-based mining: a major step towards inductive databases (Invited tutorial). In: 5th Int. Symp. on Intelligent Data Analysis IDA 2003, Berlin, Germany, August 2003. Bruno Cremilleux, Jean-Francois Boulicaut. Simplest rules characterizing classes generated by delta-free sets. Proc. 22nd BCS SGAI Int. Conf. on Knowledge Based Systems and Applied Artificial Intelligence ES 2002, Cambridge, UK, 10-12 December 2002. pp. 33-46. © Springer. Marion Leleu, Jean-Francois Boulicaut. Signing stock market situations by means of characteristic sequential patterns. Proc. 3rd Int. Conf. on Data Mining Methods and Databases for Engineering, Finance and Other Fields Data Mining 2002, Bologna, Italy, 25 - 27 September 2002. pp. 655-664. © WIT Press. Baptiste Jeudy, Jean-Francois Boulicaut. Using condensed representations for interactive association rule mining. Proc. 6th European Conf. on Principles and practice of Knowledge Discovery in Databases PKDD 2002, Helsinki, Finland, 19-23 August 2002. Springer LNAI 2431, pp. 225-236. © Springer. Acceptance rate 32 %. Marco Botta, Jean-Francois Boulicaut, Cyrille Masson, Rosa Meo. A comparison between query languages for the extraction of association rules. Proc. Fourth Int. Conf. on Data Warehousing and Knowledge Discovery DaWaK 2002, Aix-en-Provence, France, September 4-6, 2002. Springer LNCS 2454. pp. 1-10. © Springer. Acceptance rate 40 %. Matthieu Capelle, Cyrille Masson, Jean-Francois Boulicaut. Mining frequent sequential patterns under a similarity constraint. Proc. Third Int. Conf. on Intelligent Data Engineering and Automated Learning IDEAL 2002, Manchester, UK, August 12-14, 2002. Springer LNCS 2412. pp. 1-6. © Springer. Céline Robardet, Bruno Cremilleux, Jean-Francois Boulicaut. Characterization of unsupervized clusters by means of the simplest association rules: an application for child's meningitis. Proc. 7th Workshop on Intelligent Data Analysis in Medicine and Pharmacology IDAMAP 2002, co-located with ECAI 2002, Lyon, France, July 23, 2002. pp. 61-65. Jean-Francois Boulicaut, Baptiste Jeudy. Constraint-based discovery of a condensed representation for frequent patterns. Proc. Workshop Database Support for KDD co-located with ECML PKDD 2001, Freiburg, Germany, September 7, 2001. pp. 3-13. Jean-Francois Boulicaut. The inductive database framework: a long-term perspective on query languages for data mining (Invited talk). Proc. Workshop Database Support for KDD co-located with ECML PKDD 2001, Freiburg, Germany, September 7, 2001. Jean-Francois Boulicaut, Bruno Cremilleux. Delta-strong classification rules for predicting collagen diseases. Proc. of the PKDD 2001 Discovery Challenge on Thrombosis Data co-located with ECML PKDD 2001, Freiburg, Germany, September 6, 2001. pp. 29-38. Jean-Francois Boulicaut, Bruno Cremilleux. Delta-strong classification rules for characterizing chemical carcinogens. Proc. of the Predictive Toxicology Challenge for 2000-2001 co-located with the 5th European Conf. on Principles and Practice of Knowledge Discovery in Databases ECML PKDD 2001, Freiburg, Germany, September 6, 2001. Jean-Francois Boulicaut, Patrick Marcel, Christophe Rigotti. Query driven knowledge discovery via OLAP manipulations. Actes des 17ème Journées Bases de Données Avancées BDA 2001, Agadir, Maroc, Octobre 2001. Cepadues Editions. pp. 311-323. © Cepadues. Jean-Francois Boulicaut, Baptiste Jeudy. Mining free sets under constraints.In: Proc. of the Int. Database Engineering and Applications Symposium IDEAS 2001, Grenoble, France, July 2001, IEEE Computer Press. pp. 322-329. © IEEE Computer Press. Acceptance rate 45 %. Jean-Francois Boulicaut, Baptiste Jeudy. Using constraints during Itemset Mining: should we Prune or not? Actes des Seizième Journées Bases de Données Avancées BDA 2000, Blois, France, 24-27 Octobre 2000. pp. 221-237. Jean-Francois Boulicaut. Unsupervized Machine Learning from WWW Logs (Invited talk). Proc. 3rd Int. Conf. on Human-System Learning CAPS'3, Paris, France, December 2000. Jean-Francois Boulicaut, Artur Bykowski, and Baptiste Jeudy. Towards the tractable discovery of association rules with negations. Proc. of the Fourth Int. Conf. on Flexible Query Answering Systems FQAS 2000, Warsaw, Poland, October 25-28, 2000. Physica-Verlag, Advances in Soft Computing. pp. 425-434. © Physica-Verlag. An extended version associated to experimental results is available as an unpublished research report (see below). Jean-Francois Boulicaut, Artur Bykowski, and Christophe Rigotti. Approximation of frequency queries by means of free-sets. Proc. 4th European Conf. on Principles and Practice of Knowledge Discovery in Databases PKDD 2000, Lyon , France, September 13-16, 2000. Springer LNAI 1910, pp. 75-85. © Springer. Acceptance rate 18 %. Jean-Francois Boulicaut, Artur Bykowski, L. Gomez-Chantada. Association Rule Discovery in Highly-Correlated Data: a Case Study in Web Usage Mining. Proc. of Challenges, 2000 ADBIS-DASFAA Symp., Praha, Czech Republic, September 5-8, 2000. Matfyz Press ISBN 80-85863-56-1, pp. 46-55. Jean-Francois Boulicaut, Artur Bykowski. Frequent closures as a concise representation for binary data mining. Proc. 4th Pacific-Asia Conf. on Knowledge Discovery and Data Mining PaKDD 2000, Kyoto, Japan, April 18-20, 2000. Springer LNAI 1805, pp. 62-73. © Springer. Acceptance rate 28 %. Jean-Francois Boulicaut, Patrick Marcel, Christophe Rigotti. Query driven Knowledge Discovery in Multidimensional Data. Proc. ACM 2nd. Int. Workshop on Data Warehousing and OLAP DOLAP 1999 , Kansas City, USA, November 6, 1999. ACM Press, pp.87-93. © ACM Press. Jean-Francois Boulicaut, Patrick Marcel, Francois Pinet, Christophe Rigotti. Spreadsheet generation using rule-based specifications. Proc. 6th Int. Workshop on Deductive Databases and Logic Programming DDLP 1998, Manchester, UK, June 20, 1998, (P. Fraternali, U. Geske, C. Ruiz and D. Seipel, editors), pp. 59-70. Jean-Francois Boulicaut. A formal framework for database audit. Proc. Eight Annual Workshop on Information Technologies and Systems WITS 1998, Helsinki, Finland, December 12-13, 1998, pp 257-266. Jean-Marc Petit, Farouk Toumani, Jean-Francois Boulicaut, Jacques Kouloumdjian. Towards the reverse engineering of denormalized relational databases. Proc. 12th IEEE Int. Conf. on Data Engineering ICDE 1996, New-Orleans, USA, February 26 - March 1, 1996, IEEE Press, pp. 218-227. Christophe Rigotti, Mohand S. Hacid, Jean-Francois Boulicaut. F-Logic programming and terminological constraints. Proc. post-conference ICLP 1994 Workshop on the Integration of Declarative Paradigms, (M. Hanus Ed. ), Santa Margherita Ligure, Italy, June 18th, 1994, pp 3-12. Jean-Marc Petit, Jacques Kouloumdjian, Jean-Francois Boulicaut, Farouk Toumani. Using queries to improve database reverse engineering. Proc. 13th Int. Conf. on the Entity-Relationship Approach ER 1994, Manchester, UK, December 13-16 1994, Springer LNCS 881, 1994, pp. 369-386. 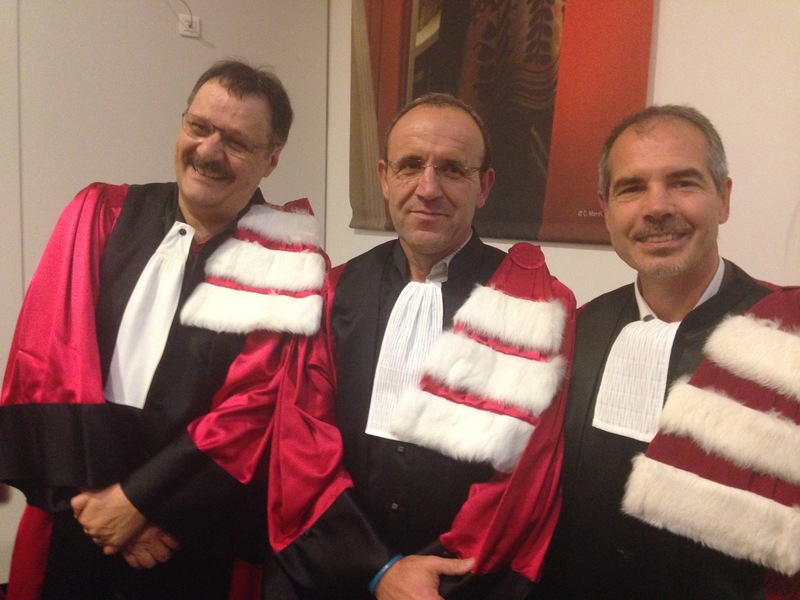 Christophe Rigotti, Mohand S. Hacid, Jean-Francois Boulicaut. Does a deductive object-oriented system produce object-oriented answers? A hybrid reasoning approach. Actes du dixième congrès INFORSID 1994, Aix en Provence, France, 18-20 mai 1994, pp. 99-110. Alexandre S. Saidi, Jean-Francois Boulicaut. Checking and debugging of two-level grammars. Proc. 4th Int. Symp. on Programming Language Implementation and Logic Programming PLILP 1992, August 26-28 1992, Leuven (B ), Springer, LNCS 631, 1992, pp. 158-171. Jean Beney, Jean-Francois Boulicaut. STARLET : an affix-based compiler compiler designed as a logic programming system. Proc. 3rd Int. Conf. on Compiler Compilers CC 1990, october 22-24, 1990, Schwerin, Germany, Springer LNCS 477, 1 991, pp. 71-85. Helen M. Gigley, Jean-Francois Boulicaut. GRASPER: a graph processing tool for knowledge engineering in cognitive modeling. Proc. Int. Conf. COGNITIVA 1985, Paris, France, June 3-7 1985, (CESTA Ed. ), pp. 527-534. Romain Mathonat, Jean-François Boulicaut, Mehdi Kaytoue. Découverte de sous-groupes à partir de données séquentielles par échantillonnage et optimisation locale. Actes Extraction et Gestion de Connaissances EGC 2019, janvier 2019, Metz (F). In Press. Guillaume Bosc, Jean-François Boulicaut, Chedy Raïssi, Mehdi Kaytoue. Découverte de sous-groupes avec les arbres de recherche de Monte Carlo. Actes Extraction et Gestion de Connaissances EGC 2017, janvier 2017, Grenoble (F). pp. 273-284. Olivier Cavadenti, Victor Codocedo, Mehdi Kaytoue, Jean-Francois Boulicaut. Fouille de motifs intelligibles et caractéristiques d'anomalies dans des traces unitaires. Actes Extraction et Gestion de Connaissances EGC 2016, janvier 2016, Reims (F), pp. 27-38. Léon Gaillard, Guillaume Ruedin, Stéphanie Giroux-Julien, Marc Plantevit, Mehdi Kaytoue, Syamimi Saadon, Christophe Ménézo, Jean-François Boulicaut. Evaluation des performances réelles de double-peaux PV ventilées en milieu urbain avec une approche orientée données. Communication au Congrès JNES & DERBI 2015, Perpignan (F), juillet 2015. Nazha Selmaoui-Folcher, Frédéric Flouvat, Chengcheng Mu, Jérémy Sanhes, Jean-Francois Boulicaut. Extraction complète efficace de chemins pondérés dans un a-DAG. Actes Extraction et Gestion de Connaissances EGC 2015, janvier 2015, Luxembourg (L), pp. 179-190. Guillaume Bosc, Mehdi Kaytoue, Marc Plantevit, Fabien De Marchi, Moustafa Bensafi, Jean-Francois Boulicaut. Vers la découverte de modèles exceptionnels locaux : des règles descriptives liant les molécules à leurs odeurs. Actes Extraction et Gestion de Connaissances EGC 2015, janvier 2015, Luxembourg (L), pp. 305-316. Frédéric Flouvat, Jérémy Sanhes, Claude Pasquier, Nazha Selmaoui-Folcher, Jean-Francois Boulicaut. Les modèles des experts au service de l'extraction de motifs pertinents. Actes Reconnaissance de Formes et Intelligence Artificielle RFIA 2014, juillet 2014, Rouen (F), 6 pages. Elise Desmier, Marc Plantevit, Jean-Francois Boulicaut. Granularité des motifs de co-variation dans des graphes attribués dynamiques. Actes Extraction et Gestion des Connaissance EGC 2014, janvier 2014, Rennes (F), pp. 431-442. Keziban Gunce Orman, Vincent Labatut, Marc Plantevit, Jean-Francois Boulicaut. Une méthode pour caractériser les communautés des réseaux dynamiques à attributs. Actes Extraction et Gestion des Connaissance EGC 2014, janvier 2014, Rennes (F), pp. 101-112. Guillaume Bosc, Mehdi Kaytoue, Chedy Raissi, Jean-Francois Boulicaut. Fouille de motifs séquentiels pour l'élicitation de stratégies à partir de traces d'interactions entre agents en compétition. Actes Extraction et Gestion des Connaissance EGC 2014, janvier 2014, Rennes (F), pp. 359-370. Jérémy Sanhes, Frédéric Flouvat, Claude Pasquier, Nazha Selmaoui-Folcher, Jean-Francois Boulicaut. Extraction de motifs condensés dans un seul graphe orienté acyclique attribué. Actes Extraction et Gestion des Connaissance EGC 2013, février 2013, Toulouse (F), pp. 205-216. Erratum Après sa publication, nous avons détecté que l'algorithme décrit est correct mais incomplet. Adriana Prado, Marc Plantevit, Céline Robardet, Jean-Francois Boulicaut. Extraction de co-variations entre des propriétés de sommets et leur position topologique dans un graphe attribué. Actes Extraction et Gestion des Connaissance EGC 2012, février 2012, Bordeaux (F), pp. 267-278. Prix du meilleur article académique EGC 2012. Jérémy Sanhes, Frédéric Flouvat, Nazha Selmaoui, Jean-Francois Boulicaut. Extraction d’arbres spatio-temporels d’itemsets pour le suivi environnemental. Actes Extraction et Gestion de Connaissance EGC 2012, février 2012, Bordeaux (F), pp. 581-582. Adriana Prado, Marc Plantevit, Céline Robardet, Jean-Francois Boulicaut. Fouille de motifs pour l'analyse mésoscopique de grands réseaux. Actes Seconde Conférence sur les Modèles et l'Analyse de Réseaux : Approches Mathématiques et Informatique MARAMI 2011, Grenoble (F), octobre 2011 - Actes informels. Pierre-Nicolas Mougel, Marc Plantevit, Christophe Rigotti, Olivier Gandrillon, Jean-Francois Boulicaut. Extraction sous contraintes d'ensembles de cliques homogènes. Actes Extraction et Gestion de Connaissances EGC 2011, Brest (F), janvier 2011, pp. 443-454. Kim-Ngan T. Nguyen, Loïc Cerf, Jean-Francois Boulicaut. Sémantiques et calculs de règles descriptives dans une relation n-aire. Actes Journées Bases de Données Avancées BDA 2010, Toulouse (F), octobre 2010, pp. 1-20. Dominique Gay, Loic Cerf, Nazha Selmaoui-Folcher, Jean-Francois Boulicaut. Un nouveau cadre de travail pour la classification associative dans les données aux classes disproportionnées. Actes Rencontres de la Société Francophone de Classification SFC 2010, Saint Denis de la Réunion (F), juin 2010, pp. 47-50. Nazha Selmaoui, Dominique Gay, Jean-Francois Boulicaut. Construction de descripteurs pour apprendre à classer à partir d'exemples bruités. Actes Extraction et Gestion de Connaissances EGC 2009, Strasbourg (F), janvier 2009, pp. 91-102. Loïc Cerf, Jérémy Besson, Jean-Francois Boulicaut. Extraction de motifs fermés dans des relations n-aires bruitées. Actes Extraction et Gestion de Connaissances EGC 2009, Strasbourg (F), janvier 2009, pp. 163-168. Ruggero G. Pensa, Jean-Francois Boulicaut. Co-classification sous contraintes par la somme des résidus quadratiques. Actes Extraction et Gestion de Connaissances EGC 2008, Sophia-Antipolis (F), février 2008, pp. 655-666. Loïc Cerf, Jérémy Besson, Céline Robardet. Extraction d'hyper-rectangles fermés sous contraintes. Contribution avec résumé étendu à l'Atelier Bases de Données Inductives BDI 2007 organisé dans le cadre de la plate-forme AFIA, Grenoble (F), juillet 2007. Ruggero G. Pensa, Céline Robardet, Jean-Francois Boulicaut. Co-classification sous contraintes. Actes Conférence francophone d'Apprentissage Automatique CAp 2006, Trégastel (F), mai 2006, pp. 155-170. Clément Faure, Sylvie Delprat, Alain Mille, Jean-Francois Boulicaut. Construction itérative d'un modèle de connaissance par l'exploitation de règles d'asssociation. Actes des 17ème Journées Francophones Ingénierie des Connaissances IC 2006, Nantes (F), juin 2006, pp. 1-10. Hunor Albert-Lorincz, Jean-Francois Boulicaut. Amélioration des indicateurs techniques pour l'analyse du marché financier. Actes Extraction et Gestion de Connaissances EGC 2006, Lille (F), janvier 2006, pp. 693-704. Clément Faure, Sylvie Delprat, Alain Mille, Jean-Francois Boulicaut. Utilisation des réseaux bayésiens dans le cadre de l'extraction de règles d'association. Actes Extraction et Gestion de Connaissances EGC 2006, Lille (F), janvier 2006, pp. 569-580. Jérémy Besson, Céline Robardet, Jean-Francois Boulicaut. Approximation de collections de concepts formels par des bi-ensembles denses et pertinents. Actes Conférence francophone d'Apprentissage Automatique CAp 2005, Nice (F), juin 2005, pp. 313-328. Jean-Francois Boulicaut. Fouille de données sous contrainte et bases de données inductives (conférence invitée). Actes Journées Francophones de Programmation par Contraintes JFPC 2005, Lens (F), juin 2005. Jean-Francois Boulicaut. Bases de données inductives : une approche structurante pour la recherche en fouille de données (conférence invitée). Actes Conférence francophone d'Apprentissage Automatique CAp 2004, Montpellier (F), juin 2004. Sylvain Blachon, Céline Robardet, Jean-Francois Boulicaut, O. Gandrillon. Extraction de connaissances dans des données d'expression SAGE humaines. Chapitre 7 de Informatique pour l'analyse du transcriptome, pages 207-230. Hermes Lavoisier, traité IC2, 2004. Jérémy Besson, Francois Rioult, Bruno Crémilleux, Sophie Rome, Jean-Francois Boulicaut. Solutions pour le calcul d'ensembles fréquents dans des données biopuces. Chapitre 8 de Informatique pour l'analyse du transcriptome, pages 231-254. Hermes Lavoisier, traité IC2, 2004. Céline Robardet, Claire Nedellec, Jean-Francois Boulicaut. Fouille de données et analyse du transcriptome. Chapitre 4 de Informatique pour l'analyse du transcriptome, pages 101-141, Hermes Lavoisier, traité IC2, 2004. Sylvain Blachon, Céline Robardet, Jean-Francois Boulicaut, Olivier Gandrillon. Extraction de régularités dans des données d'expression SAGE humaines. Actes de la journée Informatique pour l'analyse du transcriptome JPGD 2003, Lyon (F), 14 Mai 2003. 18 pages. Jean-Francois Boulicaut, F. Rioult, Jérémy Besson, Bruno Cremilleux, S. Rome. Faisabilité des extractions d'ensembles fréquents dans des données biopuces : éléments de solution. Actes de la journée Informatique pour l'analyse du transcriptome JPGD 2003, Lyon (F), 14 Mai 2003. 13 pages. Matthieu Capelle, Jean-Francois Boulicaut, Cyrille Masson. Extraction de motifs séquentiels sous contrainte de similarité. Actes Extraction et de Gestion de Connaissances EGC 2002, Montpellier (F), janvier 2002. pp. 65-76. Marion Leleu, Jean-Francois Boulicaut. Signature de situations boursières représentées par des séquences d'événements. Actes Extraction et de Gestion de Connaissances EGC 2002, Montpellier (F), janvier 2002.pp. 89-100. Bruno Crémilleux, Jean-Francois Boulicaut. Utilisation de règles delta-fortes pour caractériser des classes. Actes du 13e Congrès Francophone AFRIF-AFIA de Reconnaissance des Formes et Intelligence Artificielle RFIA 2002, Angers (F), janvier 2002. pp. 685-694. Jean-Francois Boulicaut. Quelques problèmes ouverts pour la découverte de règles dans les bases de données (conférence invitée). Actes rencontres francophones sur la logique floue et ses applications LFA 2000, La Rochelle (F), octobre 2000. pp. 357-361. Jean-Francois Boulicaut, Christophe Rigotti. Abduction et déduction de structures d'objets : une intégration multi-paradigmes. Actes Journées Francophones de Programmation Logique et de programmation par Contraintes JFPLC 1996, Clermont-Ferrand (F), juin 1996, pp. 17-31. Jean-Marc Petit, Jean-Francois Boulicaut, Farouk Toumani, Jean Beney, Frederic Raphael, Jacques Kouloumdjian. Audit d'une base de données relationnelle par une méthode originale de rétro-conception. Actes Journées « Le Génie Logiciel et ses applications », Paris (F), novembre 1995, pp. 427-438. Christophe Rigotti, Jean-Francois Boulicaut, Mohand Saïd Hacid. Vers une typologie des sémantiques opérationnelles des extensions objet de Prolog. Actes Journées Francophones de Programmation Logique JFPL 1994, Bordeaux (F), mai 1994, pp. 223-237. Christophe Rigotti, Mohand Saïd Hacid, Jean-Francois Boulicaut. Une approche multi-paradigmes pour tester la coherence d’applications BDOO. Actes journées Bases de Données Avancées BDA 1994, Clermont-Ferrand (F), septembre 1994, pp. 55-74. Jean-Marc Petit, Farouk Toumani, Jacques Kouloumdjian, Jean-Francois Boulicaut. DREAM : une méthode d'analyse pour la rétro-conception de bases de données. Actes des journées d'étude « Ingénierie des Bases de Données : migration, intégration et évolution », Paris, septembre 1994, pp. 21-30. Jean-Francois Boulicaut. Introduction à une programmation grammaticale à large spectre. Actes des Journées GROPLAN-GDR Programmation Avancée et Outils de l'Intelligence Artificielle, Nancy (F), mars 1992, pp. 27-42. Alexandre Sadegh Saidi, Jean-Francois Boulicaut. AFFLOG : une implantation de grammaires à deux niveaux pour l'étude de la programmation grammaticale logique. Actes du Séminaire de Programmation Logique SPLT 90, Trégastel (F), mai 1990, pp. 45-70. Jean Beney, Jean-Francois Boulicaut. STARLET : Un langage pour une programmation logique fiable. Actes du séminaire de Programmation Logique SPLT 1986, Trégastel (F), mai 1986, pp. 253-267. Jean Beney, Jean-Francois Boulicaut. Des spécifications grammaticales à la programmation logique: le compromis STARLET. Actes Journées AFCET « Nouveaux Langages pour le Génie Logiciel », octobre 1985, Evry (F), BIGRE+GLOBULE 45, pp. 81-88. Jean-Francois Boulicaut, Patrick Marcel, Christophe Rigotti. Using a database query language to specify and generate spreadsheets. Research Report INSA Lyon, July 2000, 10 pages. Jean-Francois Boulicaut, Artur Bykowski, and Baptiste Jeudy. Mining association rules with negations. Research Report INSA Lyon, November 2000, 23 pages. This is an extended version of our FQAS 2000 paper. Bruno Cremilleux, Jean-Francois Boulicaut. Delta-strong classification rules for characterizing chemical carcinognens. Research Report INSA Lyon, January 2002. 8 pages.